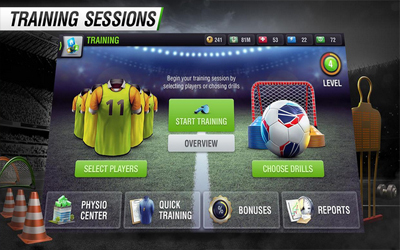 Previous version Top Eleven 5.14 apk for Android will help you to downgrade or install older app easily. This is one of the best Sports apps. The return of club history: Visit the Club menu to see your Season and All-Time history, including biggest win, all-time top goalscorer and more. Added a new limited-time feature: Scouting Network! Hire a talented scout to find new players for your club! This feature will last for 6 weeks. Bigger Squad Size: Squad sizes have been increased from 25 to 28 players. A brand new Nordeus logo will greet you when loading the game!